Malaysie - √ MOON AND STAR ERROR: MALAYSIA ★ 1 CENT 1979 UNC MINT LUSTER! LOW START ★ NO RESERVE! √ MOON AND STAR ERROR: MALAYSIA ★ 1 CENT 1979 UNC MINT LUSTER! Interesting magnetic type with Parliament house, crescent and star in nice condition. The star is CLOSE to the Moon, so it shines through surface of crescent, which is obviously wrong. √ WIDE PETALS: MALAYSIA ★ 20 SEN 2001! LOW START ★ NO RESERVE! 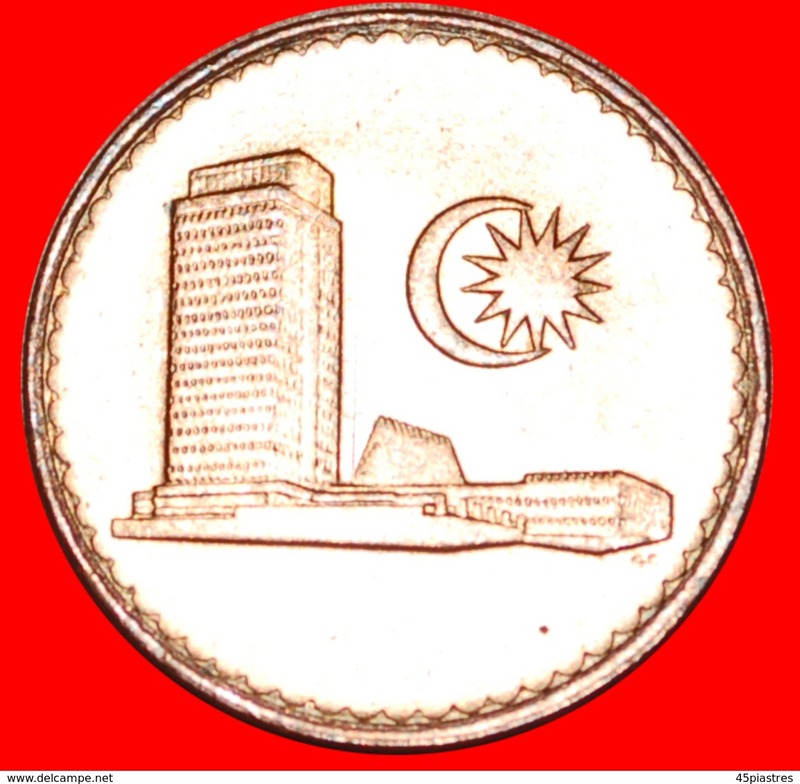 ★STAR AND CRESCENT: MALAYSIA ★ 50 SEN 1973 MINT LUSTER! LOW START★NO RESERVE! √ GREAT BRITAIN: MALAYA AND BRITISH BORNEO ★ 10 CENTS 1961H! LOW START ★ NO RESERVE! √ MOON AND STAR ERROR: MALAYSIA ★ 20 SEN 1988! LOW START ★ NO RESERVE! √ GREAT BRITAIN: MALAYA AND BRITISH BORNEO ★ 20 CENTS 1954! LOW START ★ NO RESERVE! 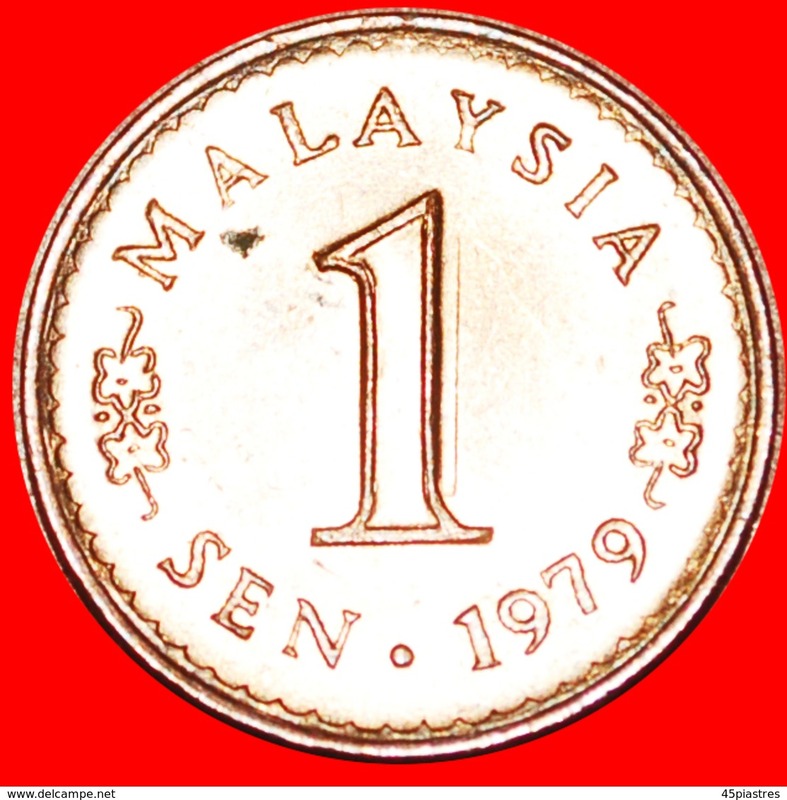 ★STAR AND CRESCENT: MALAYSIA ★ 10 SEN 1973 MINT LUSTER! LOW START★NO RESERVE! √ SPINNER: MALAYSIA ★ 5 SEN 1998 MINT LUSTER! LOW START ★ NO RESERVE! ★WITHOUT MINTMARK: MALAYA AND BRITISH BORNEO ★10 CENTS 1961! LOW START★NO RESERVE!